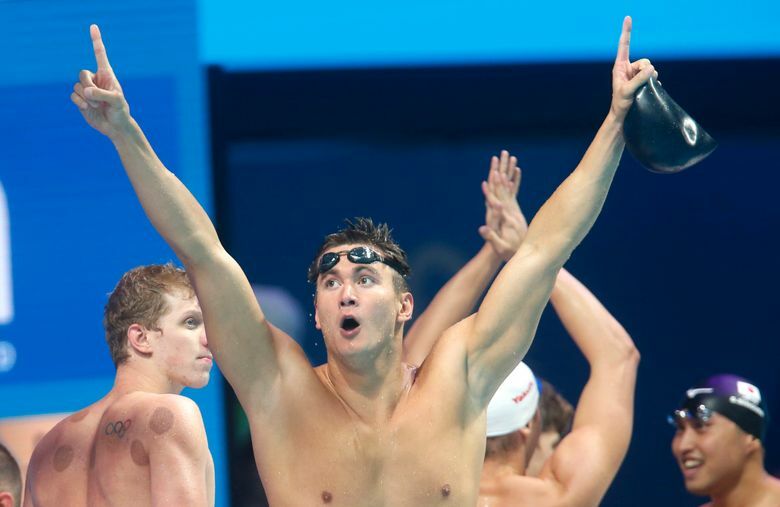 Five-time Olympic champion swimmer Nathan Adrian has been diagnosed with testicular cancer, but he plans to continue training for the 2020 Tokyo Games. Adrian revealed the news on his verified Twitter account on Thursday, saying he recently went to the doctor because “something didn’t seem quite right.” He was told the cancer has been caught early and he has begun treatment, which includes having surgery next week. Adrian says he plans to be back in the water in a few weeks to resume training. Adrian, who turned 30 last month, won the 100-meter freestyle at the 2012 London Olympics. He earned bronze four years later in Rio de Janeiro. He has four other Olympic gold medals as part of U.S. relay teams. He has been a member of the U.S. national team for the last decade. He owns 10 gold medals from long course and short course world championships. Adrian got married last September and thanked his wife, Hallie, for her love and support. Two-time Olympian Eric Shanteau was diagnosed with testicular cancer at 24, a week before the U.S. trials in 2008. He chose to delay treatment until after the Beijing Games. He came back to make Olympics again four years later.